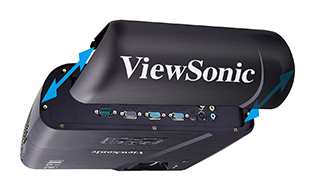 The ViewSonic networkable and wireless ready (optional) LightStream™ PJD6352 features 2x HDMI, 3,500 lumens, high resolution 4:3 (XGA 1024x768), majestic style and thoughtfully intuitive design. 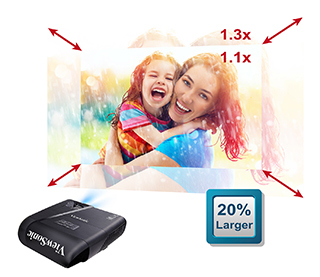 It also features a throw ratio of 1.51-1.97 which is ideal for replacing 3LCD projectors like EPSON, NEC, Hitachi, panasonic, Sony etc. Exclusive SuperColor™ 6-Segment Color Wheel maximises colour saturation and brightness for true-to-life image projection in any light, while exclusive SonicExpert™ speaker design powering a 10W speaker to deliver incredibly clear and audible sound. 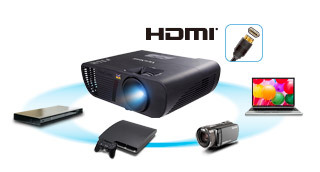 A neatly enclosed HDMI-MHL (Media High-Definition Link) compartment supports wireless media streaming from HDMI dongles or MHL connectors (like ViewSonic's WPG-300 and Google Chromecast), while a cable management hood connects onto the back of the projector to eliminate unsightly cable clutter. With horizontal and vertcal keystone correction, corner adjustment, 1.3x optical zoom, and easy network management, the PJD6352 provides flexible setup. With a throw ratio ranging from 1.51 to 1.97, this projector is primed to replace typical 3LCD projectors (EPSON, NEC, Hitachi, Panasonic, Sony) without having to move or re-install existing ceiling mounts. 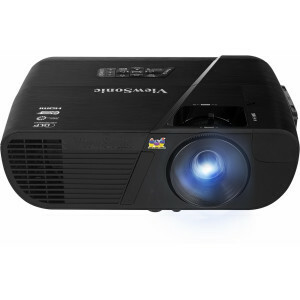 Also equipped with a 1.3x optical zoom lens, this projector provides mounting flexibility with a wider throw distance range. 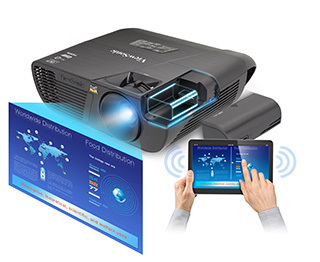 This projector includes a hidden compartment with an integrated and secure HDMI-MHL port that lets you discretely stream multimedia content from a wireless dongle (like ViewSonic WPG-300 or Google Chromecast), or lets you connect to other devices via an HDMI cable. 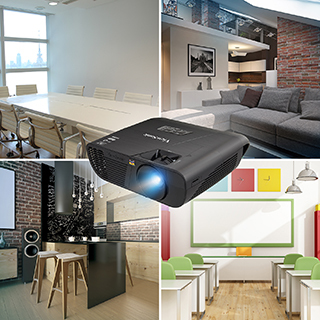 Equipped with two HDMI ports, this projector is perfect for connecting to any HDMI-enabled device such as laptops, tablets, games consoles and DVD or Blu-ray players. It also supports 3D images directly from 3D sources. With its matte hairline finish, curved edges and tactile keypad this LightStream Projector stands out from the competition. A cable cover completes the look by hiding cable clutter and exposed ports at the rear. Packed with 3,500 lumens and a high contrast ratio, the PJD6352 is guaranteed to produce bright images in any environment – even in rooms with high ambient light.